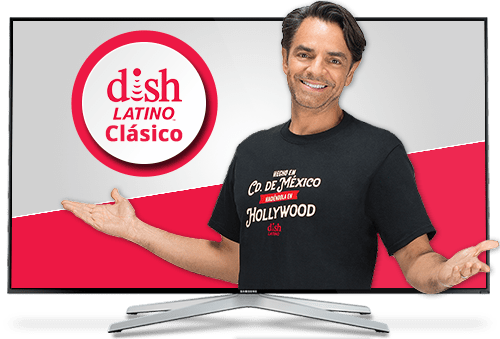 Get more than 190 channels in both Spanish and English for your whole family for only $39.99 a month with the DishLATINO Plus package! This channel package includes your favorite channels such as USA, TBS and AMC. Plus, there are channels specifically for children like Cartoon Network, Nick Jr., and Boomerang. Watch more sports action with DishLATINO! Do not miss any sports games with beIN Sports and Zona Fútbol. La Liga, Serie A, Ligue 1, Premier League, UEFA Champions League, MLS and La Liga MX all air on beIN Sports in Spanish and English! Plus, you don’t have to choose which game to watch. Zona Fútbol allows soccer fans to watch up to six games at a time! Follow all of your favorite telenovelas on Pasiones and Telemundo! Watch classics like ‘Amor Prohibido’ on Pasiones and new telenovelas like ‘Simplemente María’ on Telemundo. After your favorite telenovela is over, let the drama continue with 24/7 drama movies on Cine Latino! Keep the kids in your family entertained with all the shows they love with the DishLATINO Plus package. Toddlers will enjoy appropriate content 24/7 with BabyTV, Cbeebies and Nick Jr. 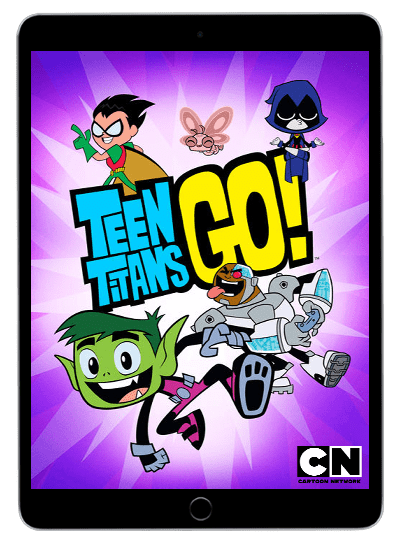 Older children will love cartoons and teen movies on Cartoon Network and Disney XD. Plus, there’s nostalgic cartoons on Boomerang that parents will love. DishLATINO offers more entertainment for your money than any other TV provider. 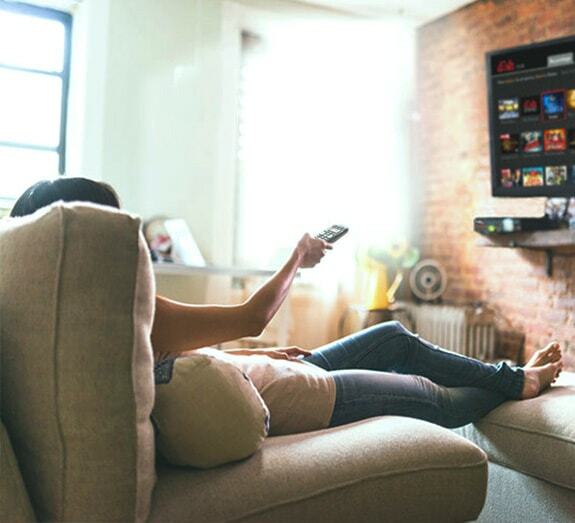 New DishLATINO customers receive a voice remote, professional installation in up to 6 rooms, HD for life, and premium movie channels 3 months free. 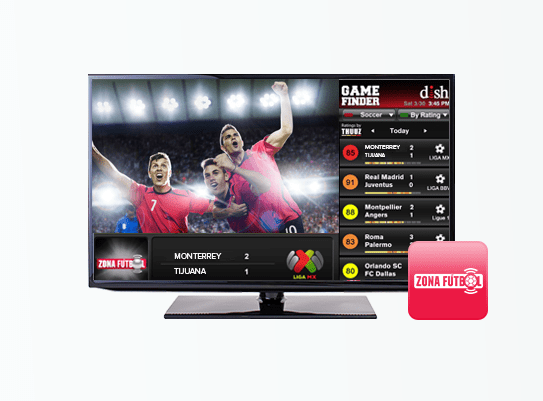 All TV packages have a 2 year price guarantee and free access to the Zona Fútbol app! We believe that you should have options when it comes to internet service. 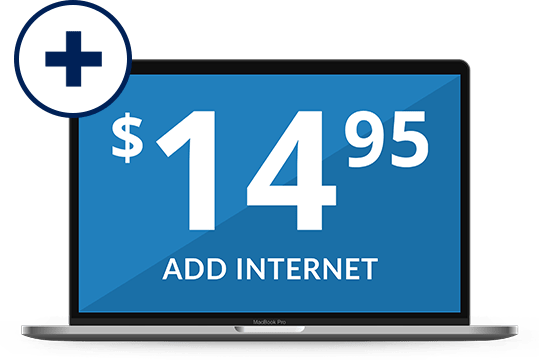 That’s why we have partnered with internet providers across the country, to offer you internet as at a price everyone can afford. Choose from DSL, satellite, cable or fiber optic providers with a variety of internet speeds and prices. It does not matter where you live or what your budget is; we can help you find an affordable internet plan for your family. Call us today to see what’s available in your area!